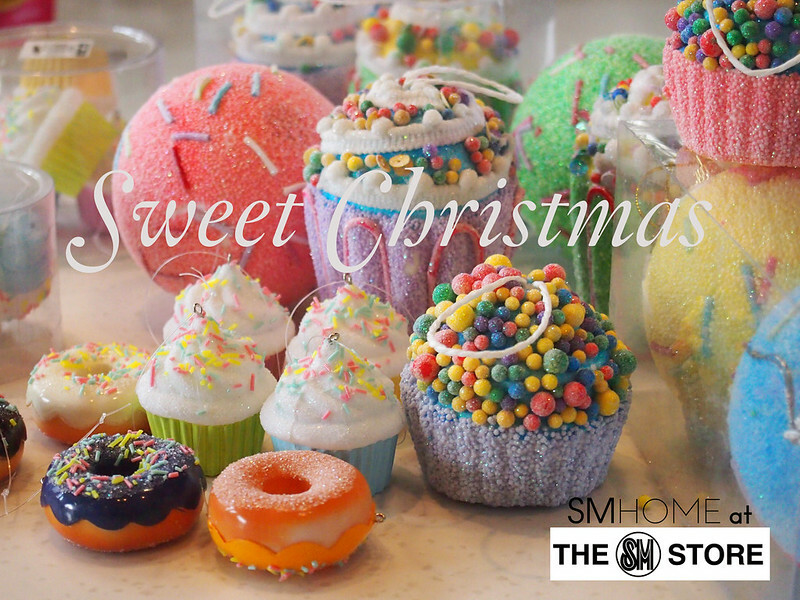 Christmas marks a time when many OFWs and balikbayans come home to be with family. And more often than not, they choose to fly with Philippine Airlines. I do, especially when I travel to and from Canada. 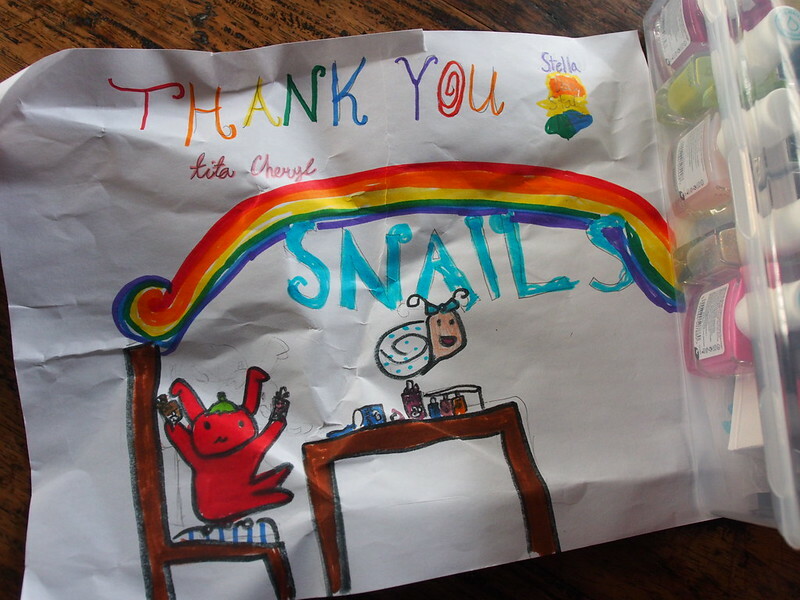 Nothing beats Filipino hospitality on long haul flights, especially if you have small kids. Before I go on, let me say that this is not a paid ad at all. I am not paid nor have I ever gotten a free flight from PAL except for the mileage I’ve earned through my credit cards. I am however, a legit PAL baby. Or I should say, a child of aviation — complete with stories of playing in the tarmac. 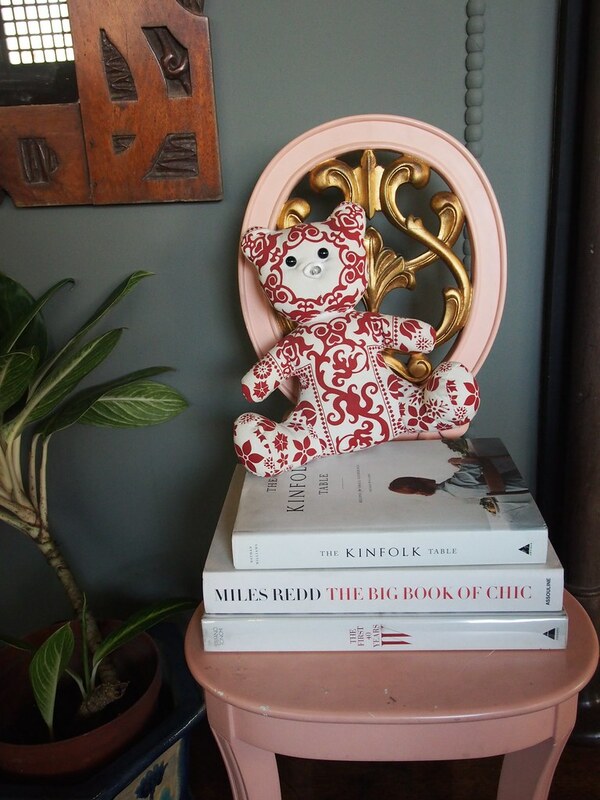 Those of you who have already read my book CHIC: Tips on Life, Style, and Work will know that my mom was a flight attendant for PAL in the mid 60’s. My dad was a military pilot. I grew up in an air base. 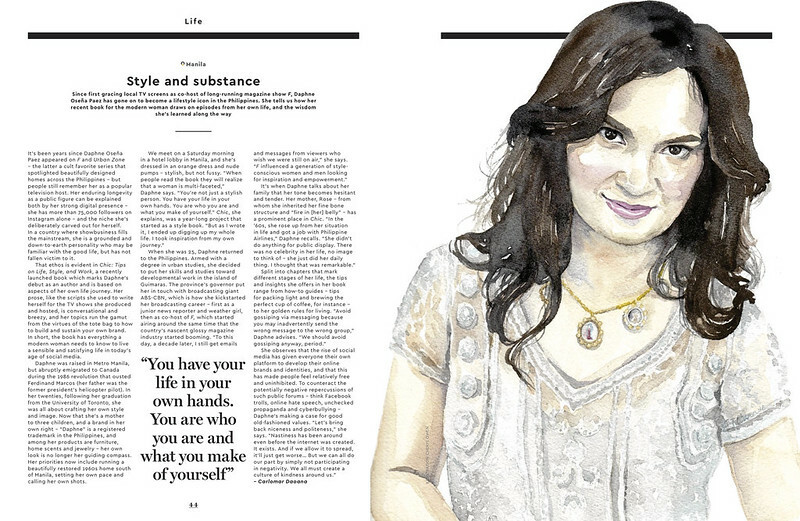 This month, the iconic Mabuhay, PAL’s inflight magazine has featured me in a two-page spread. I love, love, love the way they do this section. Instead of a PR photo or glam shot, a hand-painted watercolour illustration fills up an entire page. I like the painting so much, I’ve put it on my Christmas wish list. If my husband pays attention, he would have gotten the original for me. I have yet to find out on Christmas morning. 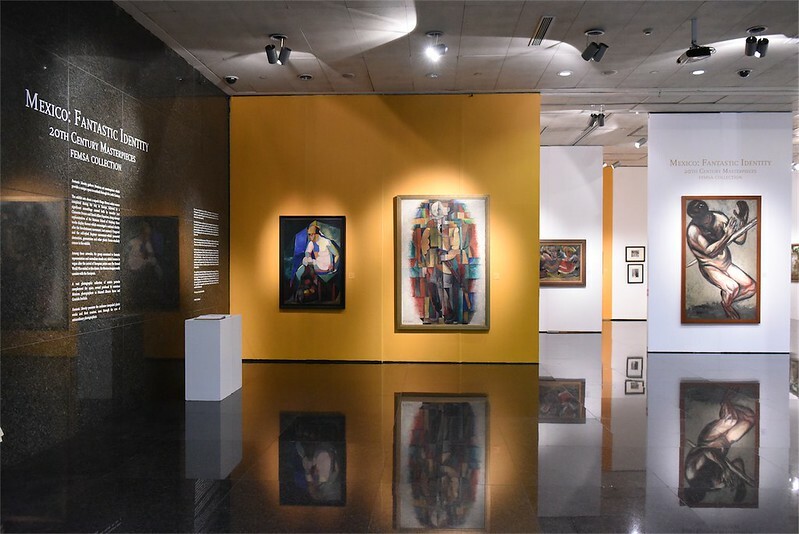 The painting is based on this photograph, taken by Dix Perez back in late 2012. 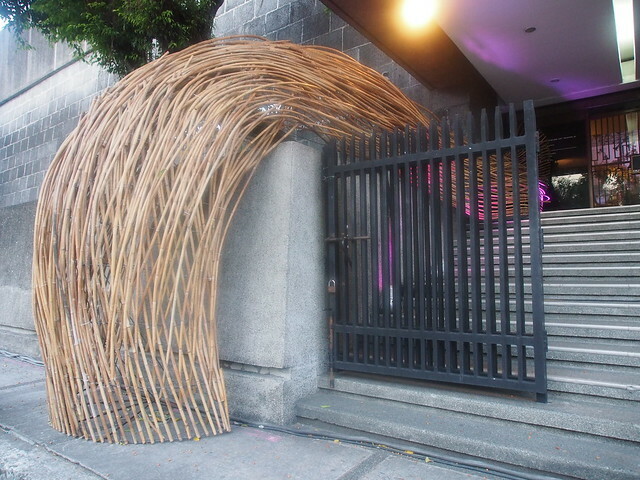 That’s my front door. Xeng Zulueta did my makeup. Felicity Son did my hair. I wore my own beaded dress and necklace I made for myself in 2006. This image made it to the Vogue Italia feature. Certainly one of my “blogging career” highlights. Vogue Italia featured my jewellery, furniture, and other products. So much has happened since then. 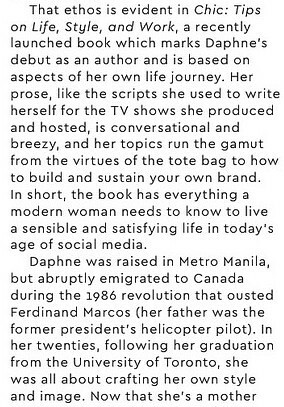 And the Mabuhay article, as well as my own book and writing process, has given me a chance to look back, appreciate, and be grateful. 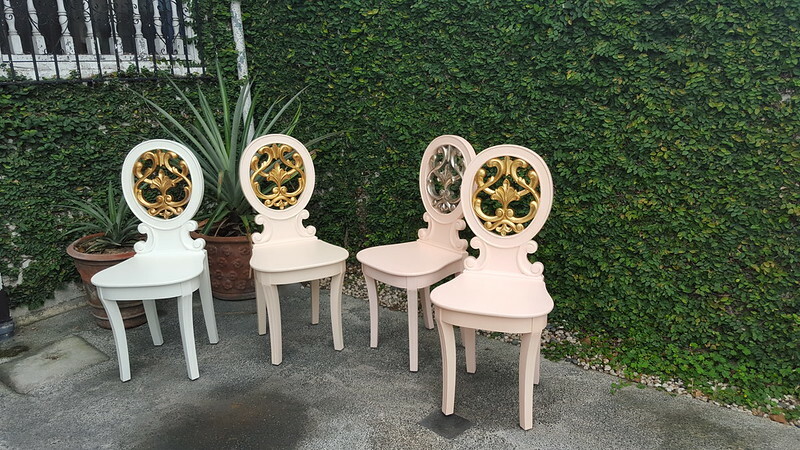 We had the chairs personally delivered by either me, my husband, or my driver. The rest were shipped via LBC (which is now my official courier). 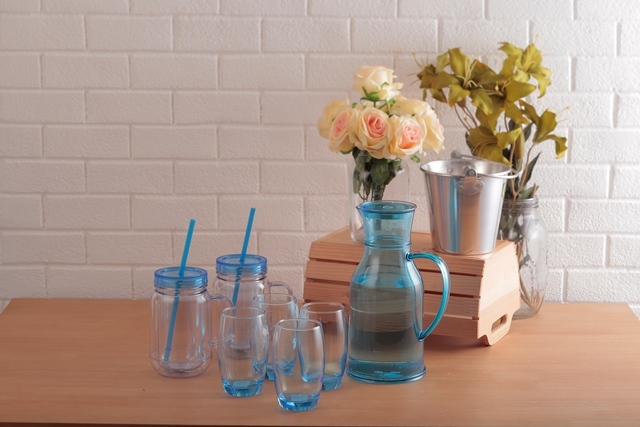 Hello, ecommerce made easy. I continue to make my own fine jewellery for myself. Sometimes I can take in orders and commissions. I am aware that a few sellers have copied my concept. I don’t know how to feel about them. And I am sure I am not the only one who has to deal with this. 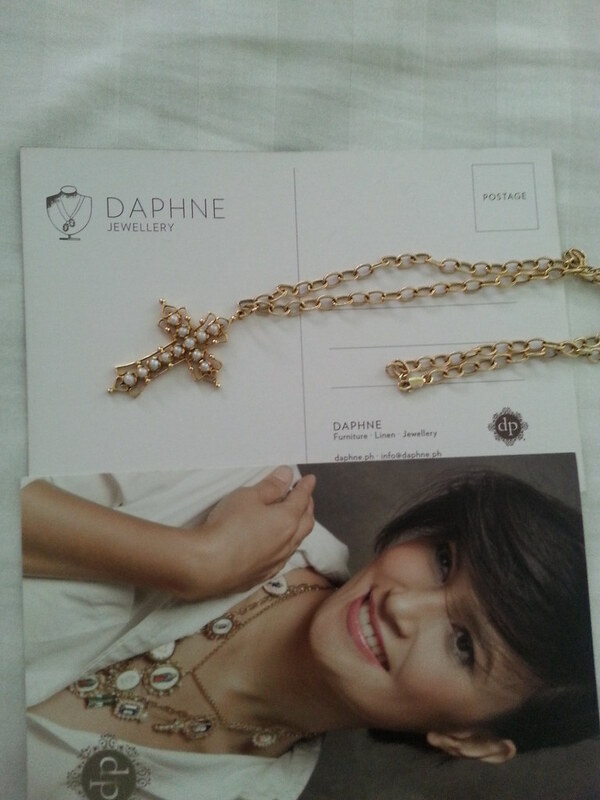 I have been wearing my faith charm necklaces since 2005. 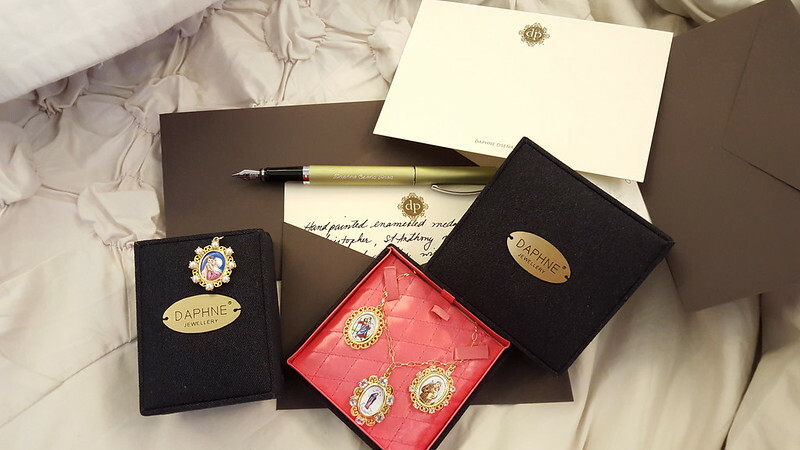 I made them for me, as these were significant and meaningful. The opportunity to design and sell my work came after. Back to the Mabuhay article. Thank you, Carlomar Daoana for your insights. 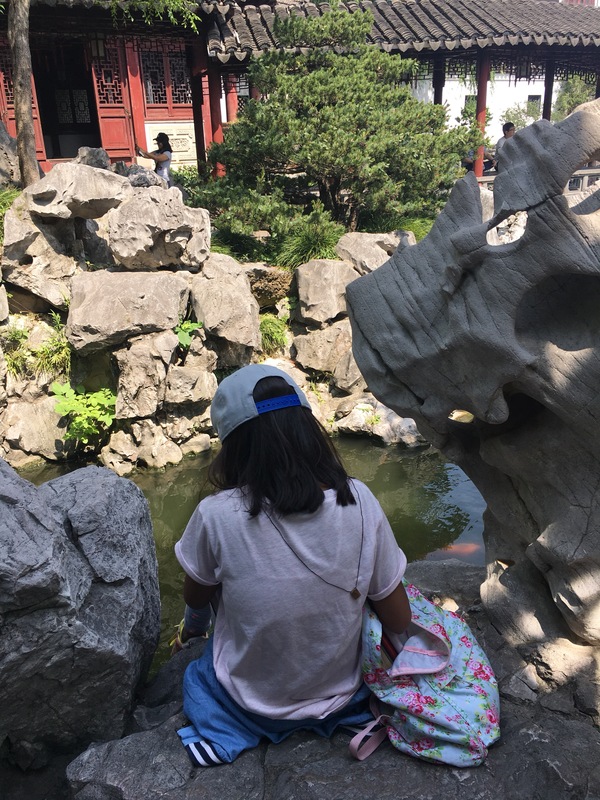 It’s always hard to talk about oneself, and even harder to read what’s written about oneself. 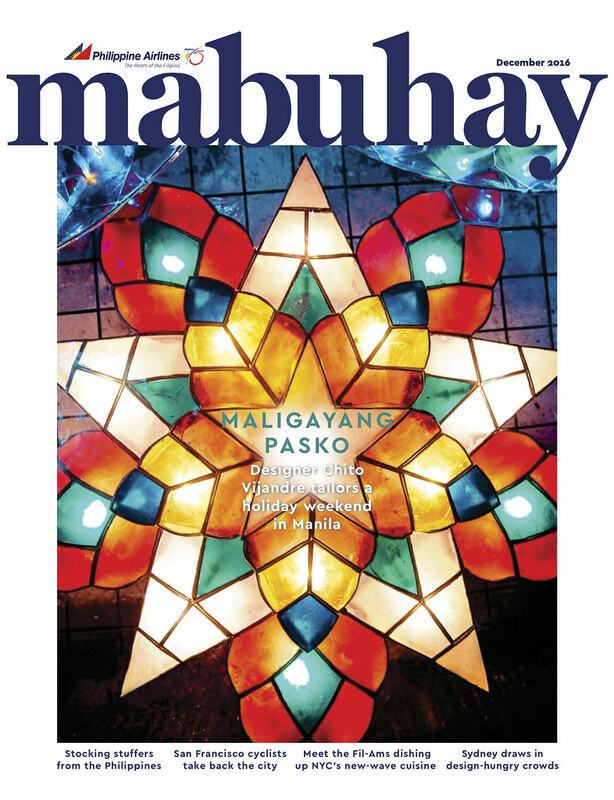 A big thank you also goes out to Mabuhay’s new EIC, James Ong, for taking interest in featuring my book and my work. There is just one little thing that I have to clarify. I did spend my childhood in Metro Manila. It is true that my dad was the helicopter pilot of President Marcos – a fact about my dad’s work and character that I am very proud of. However my family and I did not abruptly emigrate to Canada in 1986. There was no such “escape” after the EDSA Revolution. My family moved to Canada in 1983, not to be immigrants but to join my father who had been on an official assignment attached to the Philippine Consulate since 1982. In fact, during the actual EDSA Revolution, I was on a trip to Spain and Morocco organized by my high school. I celebrated my 16th birthday in southern Spain. There was a bit of drama… ok, a lot. But definitely no abrupt leaving and no actual emigration. As for the real details, you’d have to read about it in my book. 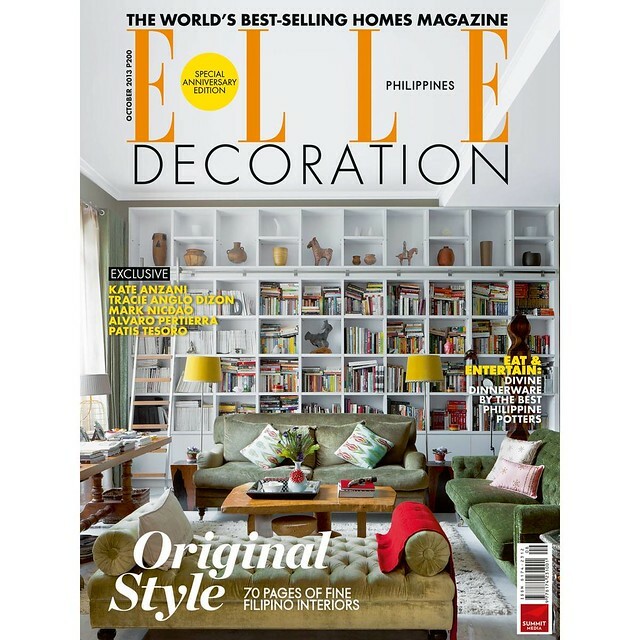 Happy 1st anniversary to one of my favourite design magazines in the country – Elle Decoration Philippines. The current, first anniversary issue. 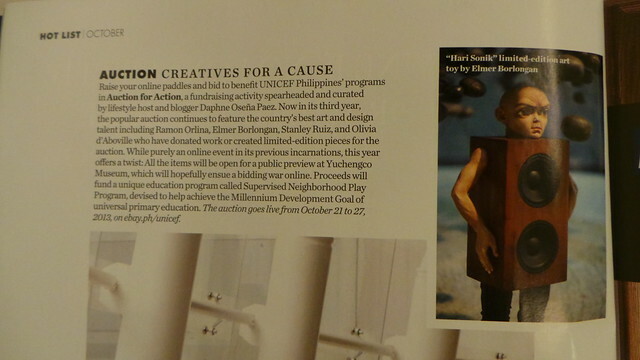 Thank you Becky Kho and Chiara McDermott for putting our UNICEF Auction for Action in this issue. 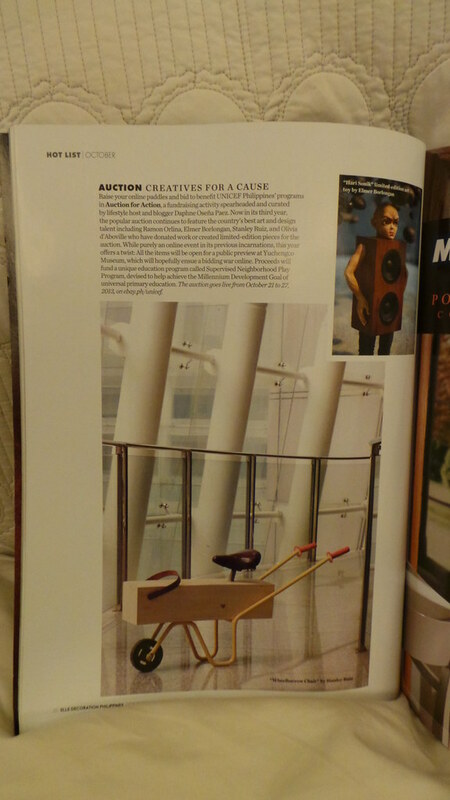 In this page are Elmer Borlongan’s Hari Sonik and Stanley Ruiz’ Wheelbarrow. So giddy to have a one page ad in this anniversary issue. 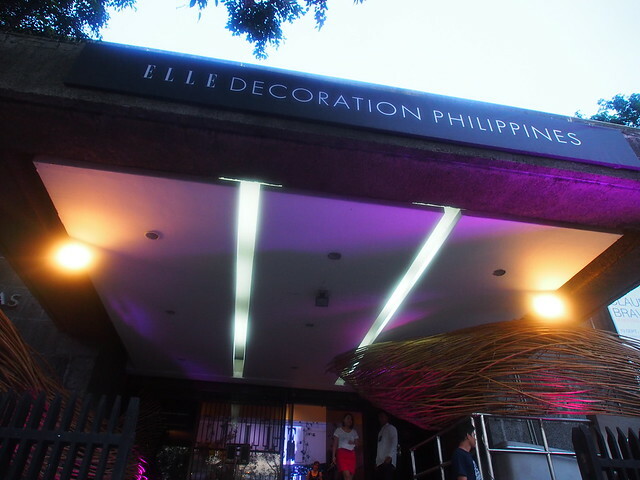 I feel part of the journey of this prestigious magazine having hosted two of their major events including their launch. A look back at the launch party at the Metropolitan Museum. 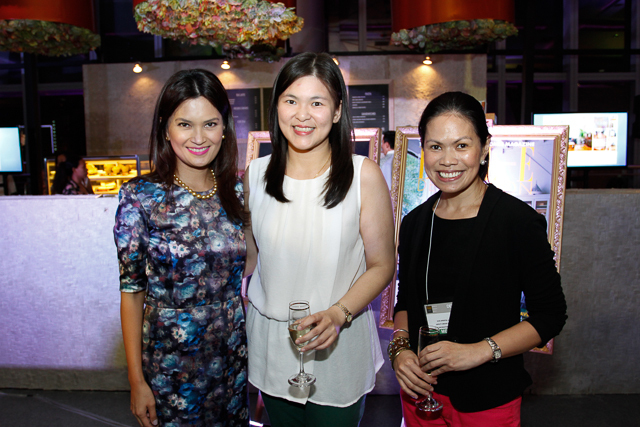 And last season’s Elle Decor Cafe at Manila FAME – with EIC Becky Kho and Summit Media Publisher Aurora Mangubat-Suarez. 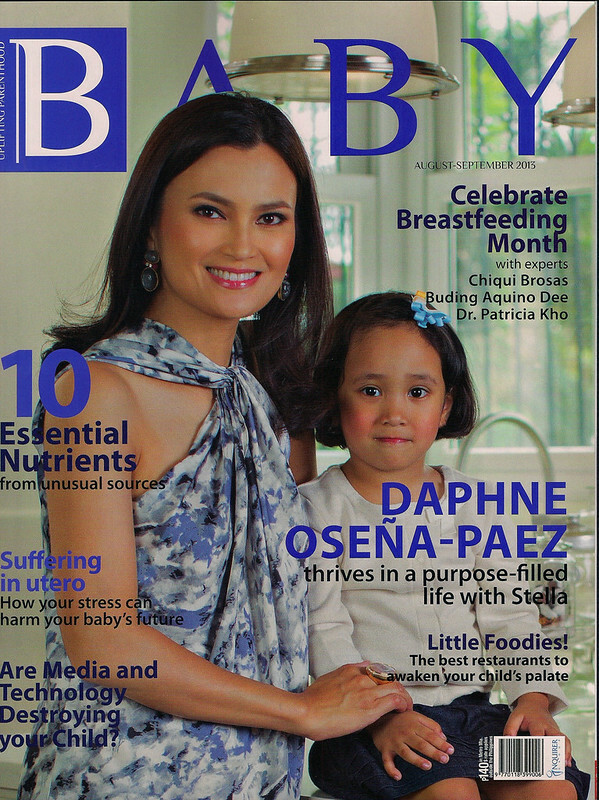 Stella and I are on the cover of BABY magazine August-September 2013. Many thanks to Juana Manahan-Yupangco, Jacqui Salonga, Ana Gloria and the rest of the BABY team for this amazing cover story. The cover was shot in our home. Stella has gotten used to “photoshoots” that the last time we needed to get her some ID photos she asked, “How do I smile, mom? Photoshoot smile?” So then I had to teach her how to do the passport smile (no teeth and no expression). I think she got confused and gave us a “passport smile” here. Haha. Seriously, the lipgloss made her freeze. The spreads inside are so lovely. It made me wonder if that was really me in the photos and article. It’s surreal to be reading about one’s self and work. Thank you, Ana for helping me spread the messages of UNICEF and for allowing me to share stories of my journey with UNICEF. Photos were by Paolo Feliciano. 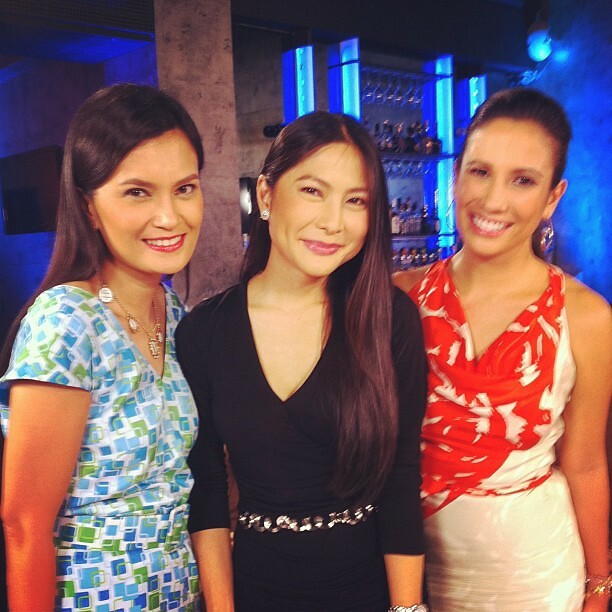 My makeup was by Ria Aquino and hair by Avril, both my stylists the TV show. BABY magazine is available at all leading bookstores and magazine shops. 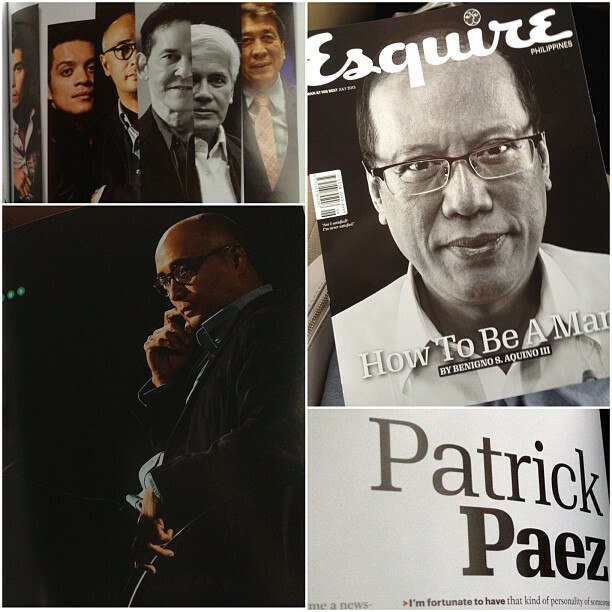 This month in Esquire read about President Aquino’s personal State of the Nation address. Exerpts here. And one of those “few great men” is Patrick. Wow (proud wifey). 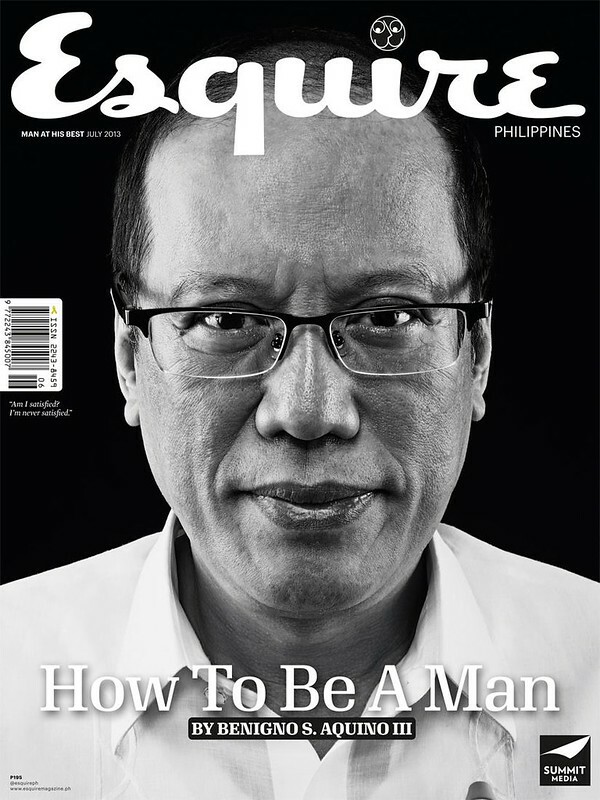 He is featured in the story, “How to be a man” together with men like Erwan Heussaff, Bamboo, Atom Henares, Congressman Rudy Farinas, Nonoy Froilan and no less than the President of the Philippines. Now available in all magazine stands and bookstores. Also on Zinio. 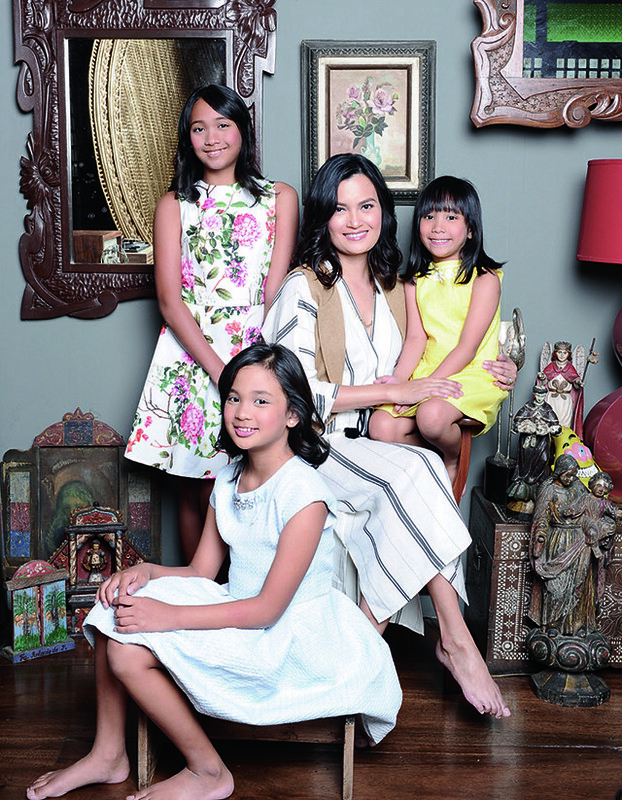 I’m thrilled to be starting the year with a rare shot of all my girls in this Smart Parenting cover. Anyone who’s been involved in professional shoots with kids will know that it isn’t easy to get the perfect shot. I’ve done this a few times and the truth is, I get the easier part of the job. I know that all I have to do is be ready every single second we’re shooting and let the stylist, producers, directors try anything to get the kids’ attention while the photographer stands by to get the perfect shot. You don’t want to be the one that ruins the photo – like have the 3 girls ready with their perfect smiles while the mama is caught with her eyes half closed. It’s all so technical. And it can be stressful for the kids (and me) if the team isn’t used to shooting kids. This shoot was fun and easy. The Smart Parenting team is so good at handling children. Lily had just recovered from the flu. Soph had a fashion almost-meltdown, haha (tween issues). And Stella was busy being herself. The editors brought toys for the kids to play with. The stylist was kind enough to change Sophia’s outfit. To this day Stella keeps asking, “Why is there no photo shoot today?” She associates photo shoot with playing. 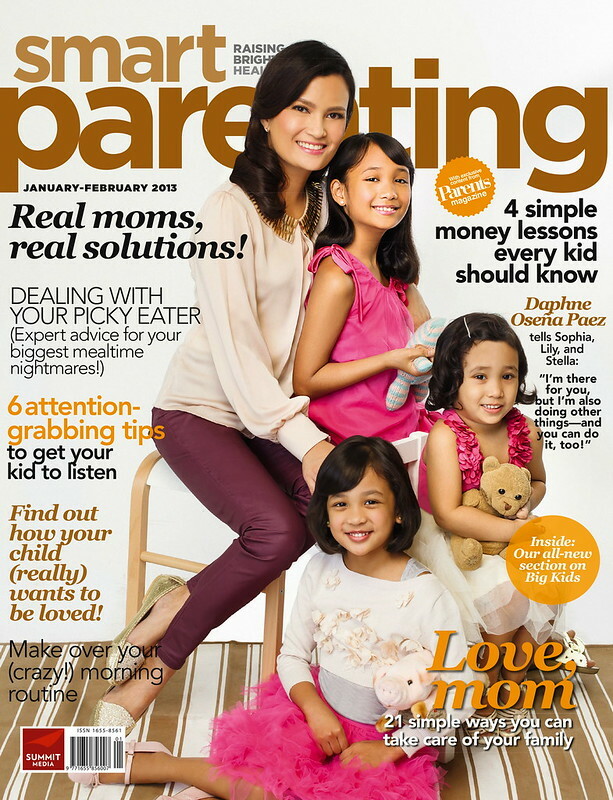 Smart Parenting Jan-Feb 2013 is now in magazine stands and bookstores nationwide. There is also an online version in Zinio but the link isn’t up yet.